Is that all you people buy???? ...I have had 4 clients in the past 6 months that I helped get a good deals on a car purchases. I have brokered 3 C300 4matics and a Honda Crosstour. What does my most recent client want?...a friggin' C300 4matic! At least this one is easy, black on black with Nav. 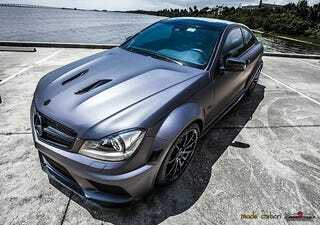 Oh well, maybe someday I can land someone an AMG.